Buy online our clothing and fashion fabric 'Glicine' Purple Silk Georgette, Made in Italy. Our silk georgette is a thin, semi-transparent and matte fabric, fluid yet crisp, soft and shivery at the same time. The passe partout of fabrics, silk georgette can be used to make blouses, lined dresses and lingerie. Lightweight, but with a structured hand, this fabric is suitable for making vaporous dresses with overlapping effects made by using more than one layer. 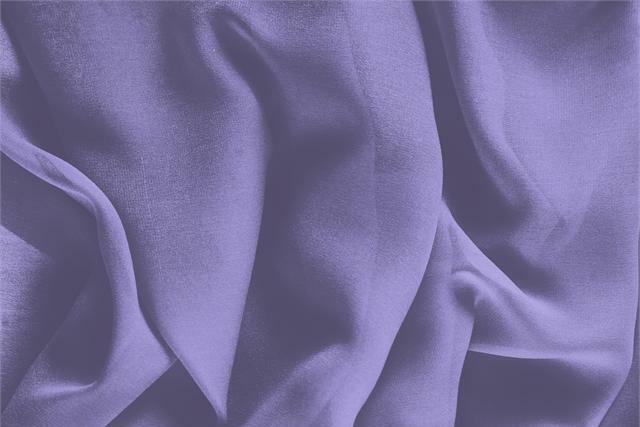 Glicine Purple Silk Georgette Plain fabric for Ceremony dress, Dress, Party dress, Shirt, Underwear, Wedding dress.